4-H is a community of young people across America who are learning leadership, citizenship, and life skills. 4-H Youth programs provide opportunities for youth to develop skills they can use now and throughout their life. Although many people think 4-H is all about cooking or cows, it is really about building productive and successful citizens through youth development. Youth development is defined as: the process of growing up and developing one’s capacities in positive ways. Research shows that when youth get involved in meaningful activities in the context of their community not only does it promote healthy development, but it also has positive outcomes like providing motivation to avoid health risks during the teen years. 4-H belongs to the youth members, their families, and other interested adults who serve as volunteer leaders. 4-H reaches out to youth by partnering with other youth-serving agencies such as local school districts, libraries, or other youth organizations. 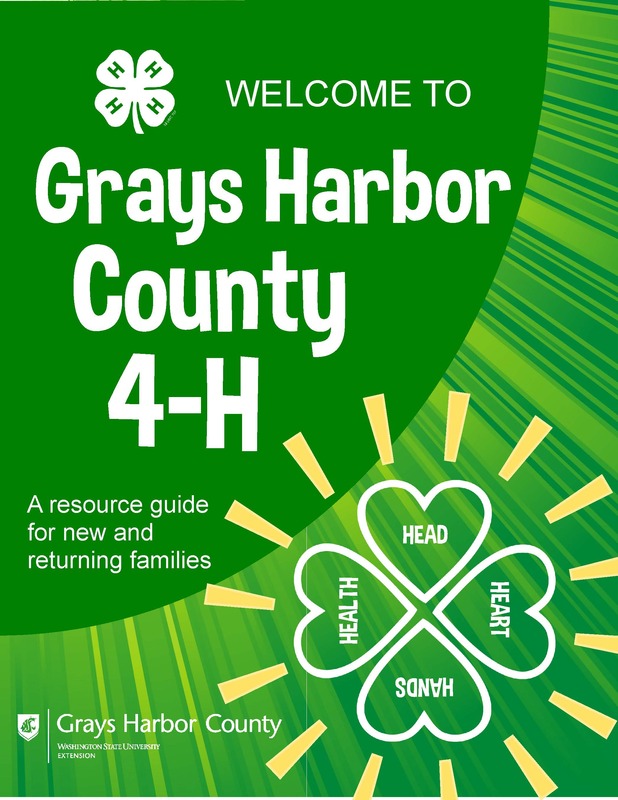 The Welcome to Grays Harbor County 4-H brochure provides information on clubs, activities, membership and more.